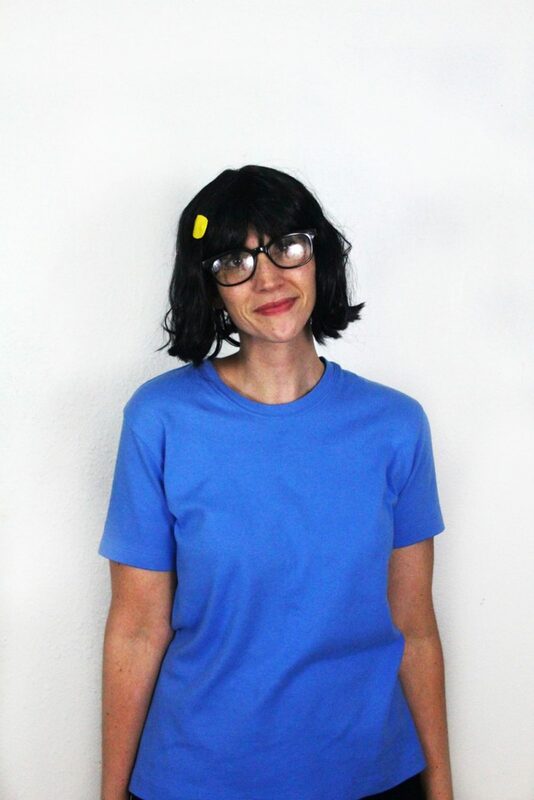 Fans of the animated series Bob’s Burgers probably recognize my Tina Belcher costume right away. Everything after that was pretty easy. 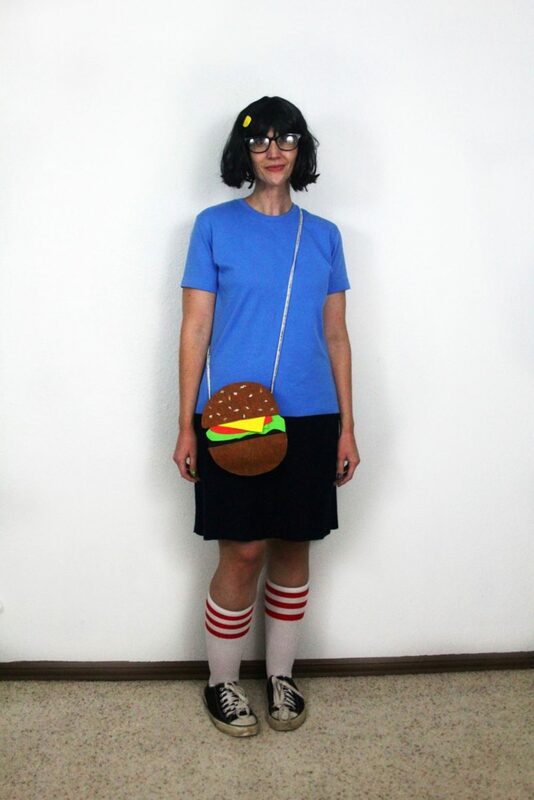 The main parts of my outfit were assembled from thrift stores pieces (I teased them in my last thrift haul). Everything else came from a real store or from my closet. 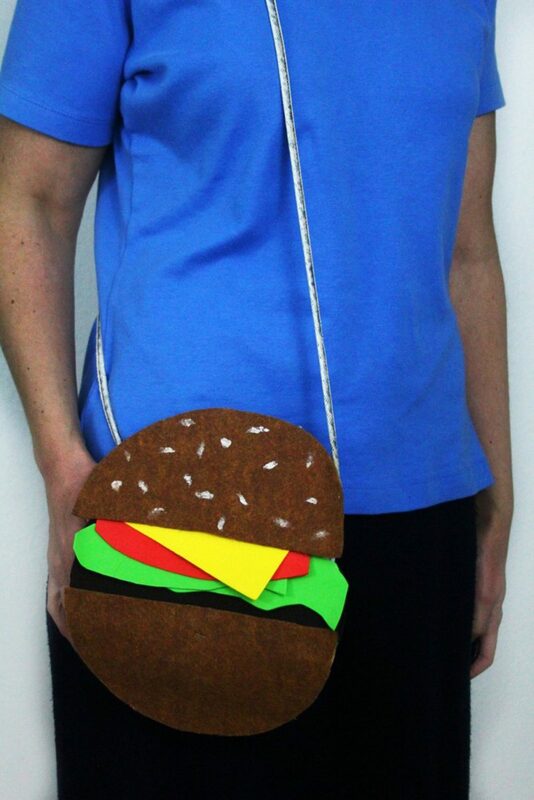 The only exception was my burger purse which was a little project I dreamed up. I’ll be sharing the tutorial in a video on Friday so be on the lookout for that! 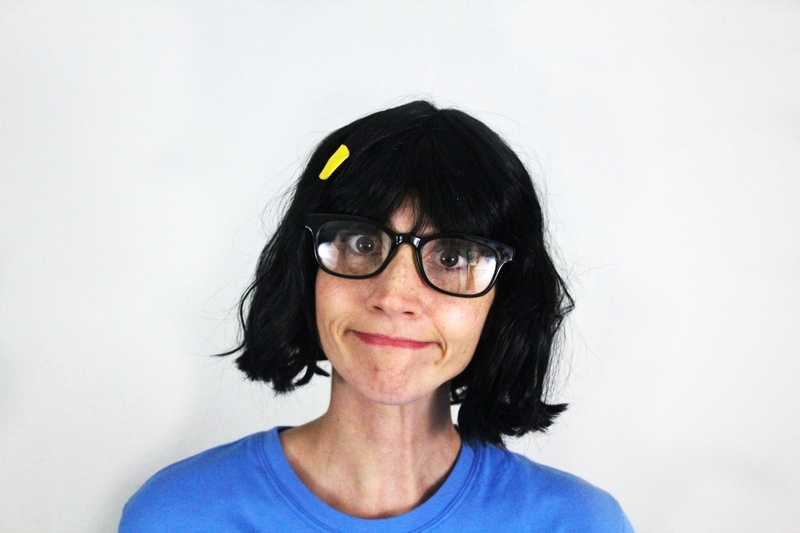 After all the work I put into the costume, I studied up on some of the best Tina catch phrases (Don’t have a crap attack!) 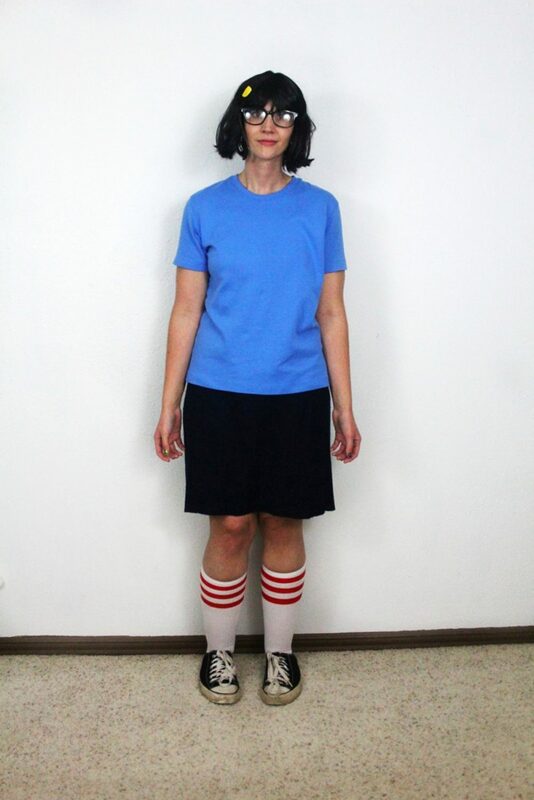 and entered myself into a costume contest. 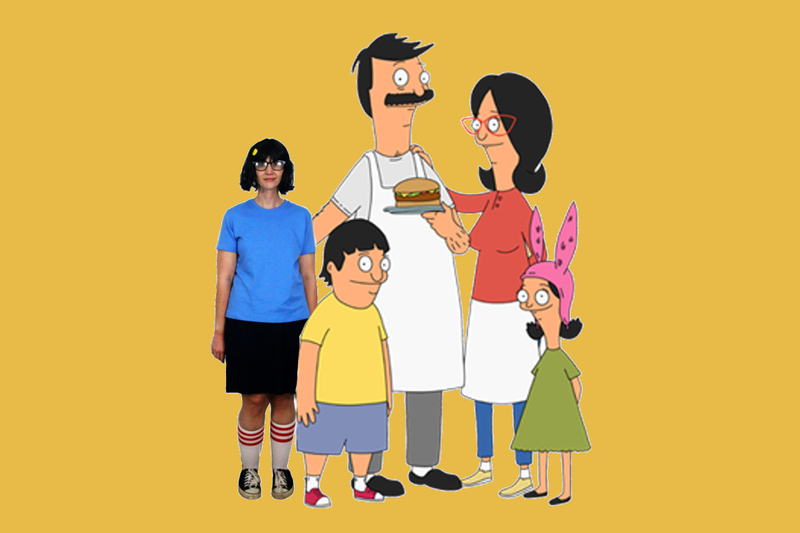 In true Tina fashion, I lost the competition. It’s ok, I guess I wasn’t meant to have a good life. A Rosie the Riveter took home the prize and I was more than happy that the judges recognized and chose a costume based on a fellow feminist. 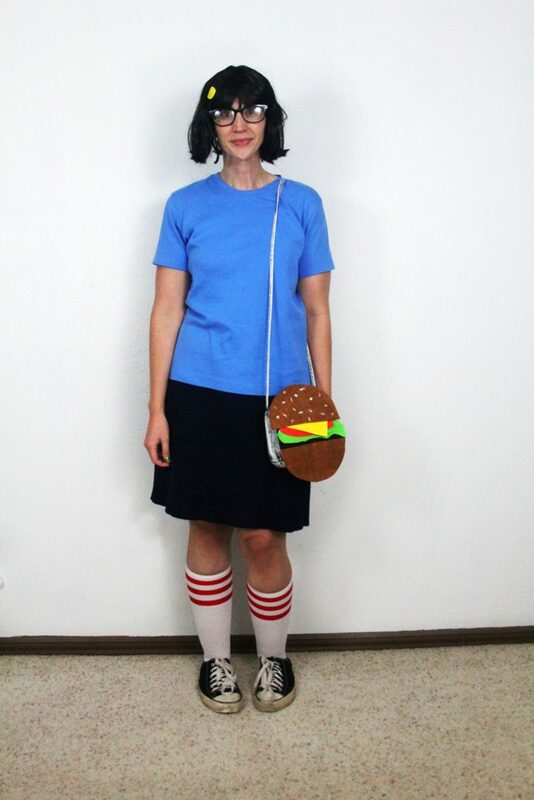 But let’s be honest, the real prize was getting to be Tina Belcher for a night.